The Los Angeles Dodgers made another move to make up for the loss of Zack Greinke in free agency, signing Scott Kazmir to a three-year deal worth $48 million. Kazmir joins Clayton Kershaw at the top of the Dodgers' rotation and also serves as a replacement for the failed signing of Hisashi Iwakuma. Analysis: Kazmir is now 32 and he comes off a solid 2015 where he pitched to a 3.10 ERA and 155 strikeouts in 183 innings. While Kazmir is aging, he is still a quality SP 3 in fantasy baseball and is particularly strong during the first half of the year before his slight frame starts to tire under the innings. 1. Josh Donaldson: The AL MVP completely lived up to the hype we attached to him going into 2015 in moving from Oakland to the hitter's haven in Toronto. In fact Donaldson even bettered our optimistic projections by not only reaching 30 home runs but going past 40. 2. Manny Machado: Oh my goodness was this guy insanely good last season. Not only did Machado start showing off his Miguel Cabrera-like hitting ability by hitting 35 home runs, he also ran wild by stealing 20 bases. Throw in 102 runs scored and 86 RBI and Machado was the definition of a monster fantasy baseball star. We lean Machado over Nolan Arenado due to the steals advantage but it is very close. 3. Nolan Arenado: Nothing else to say here as the 42 HR and 130 RBI speak for themselves. Another guy we all wanted last season as Arenado was destined for this. Into the first round he goes. 4. Kris Bryant: Already living up to the immense hype with 26 home runs and 13 stolen bases as a rookie. Average not as stellar as the guys listed above due to some strikeout issues like we saw from Bryce Harper early on. 5. Todd Frazier: Did a profile earlier on Frazier and amazingly his second round numbers are FIFTH best among third baseman. 6. Anthony Rendon: Colossal bust in 2015 and in fact considering the first round price tag, no one was a bigger disappointment. However remember how great Rendon was in 2014 and take advantage of the good health and much cheaper draft cost to buy low in 2016. 7. Kyle Seager: Yes he is one of my big-time favorites as Seager is ALWAYS a good buy who provides numbers that come much cheaper then they should. Rock of dependability who is arguably one of the best values in the game relative to his draft slot. 8. Matt Carpenter: Wow those 28 home runs came out of nowhere as Carpenter never even hinted at half of this before. Surely was swinging for the fences after moving to third but he had to give back a decent amount of batting average to achieve the home runs. Some outlier feeling here and I am not buying anyone off a career year like this. 9. Adrian Beltre: Fading as age is becoming a clear problem. Can still hit .300-plus but the power is declining sharply. Get off the bandwagon. 10. Evan Longoria: Remember when Evan Longoria was a first round guy and we said he was not worth it? Yeah it was so long ago it seems I don't even remember our correct assessment. 11. David Wright: Ugly times for David Wright who was a former first round star but who now needs a full hour just to get ready to play a game. Back issues are death for hitters and Wright figures to be a constant health mess. Avoid completely. 12. Miguel Sano: Sano is a big power hitting third baseman who also has some shortstop eligibility in some leagues. Won't hit more than .265 though due to a very high K rate but the kid is rising. 13. Maikel Franco: Yet another young third baseman who can hit for power. Like what we saw from Franco last season as he was showing more power than I anticipated. Upwards we go. 14. Mike Moustakas: Finally started to live up to his early hype after a string of horrid seasons. Seemed to make it a point to hit for average at the expense of the power. Decent trade off for him but it hurts the fantasy baseball numbers. 15. Matt Duffy: Was a very good value play in 2015 as Duffy did a little of everything. Intriguing as a value pick for 2016. 16. Justin Turner: Boy has Turner been a terrific pure hitter the last two years and he even has some power to give. You ideally want him as your bench utility guy though. 17. Josh Harrison: Called him a bust for 2015 and that is what Harrison was. Don't bother. 18. Xander Bogaerts: Just doesn't do much of anything in terms of fantasy baseball numbers. 19. Chase Headley: Only has AL-only value and even that is shaky. 20. Martin Prado: Can still hit for average but Prado is aging and doesn't offer much anywhere else. 21. Trevor Plouffe: Like the power here but Plouffe is a guy you always yawn when you pick. 22. Joey Gallo: Immense power and some speed is the name of the game for Gallo but a truly horrific K rate makes hitting even .220 a challenge. 23. Pablo Sandoval: Went completely bust in Boston and is now deservedly a pariah in fantasy circles. Just a joke of a player. 24. Luis Valbuena: Can pop some home runs but with a .230 average. You can do so much better. There you have it. Let us hear your thoughts on this group. Post below. We would love to hear from you about your opinions for the arriving season. One of the bigger moves of the Hot Stove season involved the Chicago White Sox completing a trade with the Cincinnati Reds for All-Star slugging third baseman Todd Frazier as the team looks to complete a makeover back into playoff contention. With the third base position all of a sudden infused with a massive amount of top tier talent, let's take a look at what Frazier (who is very much a part of this grouping) can supply in 2016 fantasy baseball. When Frazier first made his way up to the Reds from the team's farm system, he was considered a decent power hitting prospect but not a sure thing by any means as an undrafted signing. Still after a cup of coffee debut in 2011, Frazier solidified an everyday position for himself starting in the 2012 season when he opened some eyes by hitting 19 home runs and bat .273 in just 422 at-bats. It certainly looked like the power was for real and more was expected out of Frazier for 2013. Well Frazier did match the 19 home runs he smacked the previous year but it came in 100 more plate appearances. In addition, Frazier hit a woeful .234 that season as he struck out 103 times and drew just 36 walks. Overall Frazier's 2013 season was a dud and with him already moving to his prime years, there were no question marks of whether or not he could be a dependable player moving forward. Of course that brings us to the 2014 season when Frazier put together one of those tremendous breakout seasons that included not only a major boost in power to star levels but also a surprising bustout in a category he never did much of anything in before. As far as the power was concerned, Frazier was locked in at the dish from the start of 2014 as he opened up swatting home runs left and right and never really let up as he finished with 29 long balls in 597 at-bats. Frazier also wound up reaching career-highs in RBI with 80 and runs scored with 88. The batting average? Still not great but a nice improvement from his ugly early numbers as he hit .273. Of course the biggest shock of all came in the form of 20 stolen bases from Frazier which was a skill he had never shown much of before. Not especially fleet of foot, Frazier perfected some good timing on the bases which resulted in the major boost in steals. Thus when you paired the 29 home runs with the 20 steals, you all of a sudden had Frazier being considered for as high as a mid-second round grade for 2015 drafts. This was a point that would be debated both on here and in other publications as some threw the 20 stolen bases into the outlier bin and as far as we were concerned, the batting average of .273 was not bery believable as Frazier got some good BABIP luck to help there. Still we noted that Frazier was worth a LATE second round pick given the third base position remained shallow going into 2015. Fast forward through the 2015 season and ultimately Frazier made good on whatever draft price you made with him. He reached yet another level in terms of power, putting up a career-high in home runs with 35. Going in conjunction with the high in home runs was a career number in RBI with 89. Clearly Frazier's standing as one of the best pure power hitters in baseball has been solidified and as far as 2016 is concerned, he should remain in the 30-35 range based on his current level of hitting. Now let's get to the average and steals. As we forecasted, the average took a dip to a very shaky .255 as Frazier once again struck out way too much with a 20.2 K/9 IP rate. That will never allow Frazier to bat more than .275 at the very best and more likely he will remain in the .265 area code. Frazier also walked in only 8.0 percent of his plate appearances last season which again hurts him in the average department. Getting to the stolen bases, Frazier lost 7 steals from the year prior as he finished with 13. While that is a decent drop, 13 stolen bases from your fantasy baseball third baseman (or first baseman if you use Frazier there since he qualifies in some leagues) is a very solid number. Looking for 20 again is foolish but 10-14 seems about right. The desire seems to be there and that should be where Frazier lands again this season. When you put it all together, Todd Frazier is a clear four category fantasy baseball star who only is a negative in batting average. The guy's power is tremendous and he should see no drop in numbers in his new home with the White Sox as their home park is conducive to more homers. We would still draft Frazier in the second round this season as his numbers suggest he is worthy there. What is crazy though is that the incredible explosion of star third baseman last season has Frazier as possibly the fourth third baseman off the board after Josh Donaldson, Nolan Arenado, and Manny Machado. With a week to go in the regular season, Philadelphia Eagles owner Jeffrey Lurie cleaned house on Tuesday as he fired both head coach Chip Kelly and VP of Player Personnel Ed Marynowicz. After winning ten games each of his first two years with the team, Kelly put his stamp on the 2015 squad by trading star RB LeSean McCoy and trading for Sam Bradford to serve as his QB. With the Eagles already out of playoff contention amid reported rancor between Kelly and the front office, the move was made with still one game left on the schedule. Analysis: Well that was a swift fall. Kelly absolutely blew what was shaping up as a very good start to his pro coaching career, with the first and most destructive move being his trade of McCoy who was the team's best player and most potent offensive weapon. While dealing away Nick Foles turned out to be the right thing, the addition of Bradford was a disaster which didn't help his standing. It should be back to college for Kelly who will have no shortage of suitors. For the second time this winter, consensus number 1 closer Aroldis Chapman found himself the highlight of a trade. First Chapman was headed to the Los Angeles Dodgers to serve as the new closer over Kenley Jansen. The deal was scuttled though when reports surfaced of a domestic dispute Chapman was involved in with his wife where he supposedly fired a gun. Flash forward a month later and the New York Yankees took advantage of the depressed market for Chapman and acquired him on Monday to server as their new fireballing closer in front of Andrew Miller and Dellin Betances to give the team the most potent 7-8-9 trio in MLB history. With the ink still fresh on the deal, let's dig in and find out how it impacts 2016 fantasy baseball. Let's get to it. Those are purely insane strikeout rates and the totals that go with him as it makes Chapman virtually unhittable. His career ERA shows there as well with a tiny 2.17 mark and 1.01 WHIP. The bottom line now is that Chapman moves into the closer role for the Yankees where he should once again be the top stopper in the game and in turn find himself as a fourth or fifth round pick in drafts. Andrew Miller: With Chapman coming over to the Yankees, incumbent stopper Andrew Miller gets unfairly displaces from the ninth inning and thus loses almost all of his fantasy baseball value. Unless Miller gets moved before the season begins into a closing spot around the league, his value is destroyed despite a truly dominant 2015 campaign closing games for the Yankees when he registered a 2.04 ERA and struck out 100 batters in only 61.2 innings. Tough trade for Miller to accept but he can be safely taken out of most cheat sheets for the 2016 season. J.J. Hoover: With Aroldis Chapman having been traded to the New York Yankees, there is an opening at closer for the Reds for the 2016 season. On the surface, youngster J.J. Hoover seems to be the most likely candidate to fill the spot based on his hard-throwing repertoire. The former 2008 10th round pick has had three very good years out of four in the majors and that includes 2015 when he pitched to a 2.94 ERA and 1.17 WHIP while striking out 52 batters in 64.1 innings. The K rate checks out as Hoover has struck out 225 batters in 223.2 career innings and he likely has earned the first look unless the team brings in a veteran. Add Hoover to your cheat sheets as a result of the trade. Despite some major off-the-field concerns, the New York Yankees acquired All-Star closer Aroldis Chapman from the Cincinnati Reds. No word yet on what the return package will be for the Reds. Analysis: Wow. The Yanks are taking a major risk here as Chapman could be suspended by Major League Baseball due to reportedly firing a gun in a domestic dispute with his wife but apparently they feel good enough to move forward. Chapman figures to move right into the ninth inning for the Yanks, displacing another top tier closer in Andrew Miller and pushing Dellin Betances into the seventh inning. Needless to say, the Yanks will then have the best 7-8-9 trio in history. With the fantasy football season pretty much in the books sans a Monday night game between the Denver Broncos and Cincinnati Bengals, now is the time for us to put a bow on the final position rankings from the four main groups of players starting with the QB's. These rankings are weighed heavily based on 2015 with an eye toward how 2016 will look. 1. Tom Brady: With Andrew Luck having endured as big a bust season as one can get and with Aaron Rodgers' numbers dipping sharply in 2015, old reliable Brady returns to the top of the QB rankings at the age of 38 as he sailed past 4,000 yards and 30 scores with little effort. 2. Aaron Rodgers: It was a maddening season for Rodgers' owners as the Packers veteran looked mortal for the first time since becoming the team's starter. The yardage fell off the map but Rodgers still put up a high number of touchdown passes as usual. Still in his prime years, Rodgers should be trusted again as the second QB off the board for 2016. 3. Andrew Luck: Pretty much we have to give Luck a mulligan on 2015 as he was hurt almost throughout and dealt with the worst protection in the game. Still if the Colts don't improve the offensive line significantly, we would be leery of investing in Luck as a high draft pick again given the likelihood of more injuries. 4. Cam Newton: We were big critics of Newton ever since he came into the league but only from a fantasy football angle since his numbers didn't translate as a big impact guy in our fake game. That was until 2015 when Newton went bonkers in all facets as he went past the 30 TD mark for the first time in his career and remains the best TD producer on the ground in the game. Starting to look like the new Randall Cunningham, in his Philadelphia Eagles days. 5. Ben Roethlisberger: On a per game basis in 2015, Big Ben was as good as any passer in fantasy football. With a healthy Le'Veon Bell joining the best receiving trio in the game in Antonio Brown, Martavis Bryant, and Markus Wheaton, the numbers could be scary in 2016. 6. Russell Wilson: Like with Cam Newton, we have advised to stay away from Russell Wilson due to the Seahawks being one of the most run-favoring teams in the game. Well the restraints came off of Wilson in 2015 out of necessity and the guy went nuts in December with some truly spectacular play. There is no guarantee the Seahawks won't go back to a run-heavy offense in 2016 but Wilson has shown once and for all he can be a prime passer. 7. Blake Bortles: We are buying all-in on Bortles who took a giant step in his development in 2015 as he reached the 30-TD passing mark and has a terrific collection of receivers at his disposal going forward in Allen Hurns, Allen Robinson, and Julius Thomas. Better yet, Bortles looks like the new "best value" among fantasy football QB's as many won't fully buy in yet. Take advantage of the discount. The kid is for real. 8. Carson Palmer: Yes Palmer is getting old but he comes off arguably his best season in 2015 when he played like an MVP and has a vast collection of receiver talent in his own right with Michael Floyd, Larry Fitzgerald, and soon-to-be star John Brown. 9. Drew Brees: The numbers slid for the fourth year in a row for Brees who also was banged up quite a bit. Could be a coaching change here which would change the offense as well and Brees has to agree to a pay cut to return. Lots of question marks here for a guy who still get it down as evidenced by his big second half but who will be 37. 11. Philip Rivers: Rivers remains old reliable as he led the NFL is passing yardage going into Week 17 and slings it with the best of them. Also remains one of the best buys among fantasy football QB's as Matt Ryan and Tony Romo fell by the wayside in that class in 2015. 12. Derek Carr: Joined Blake Bortles in terms of taking a giant step in development and reaching the 30-TD mark. Loving life now with Amari Cooper and Michael Crabtree. 13. Kirk Cousins: Hard to imagine the Washington Redskins allowing Cousins to leave in free agency but there should be plenty of suitors as the guy was a top five fantasy starter in December. Looks completely legit. 14. Andy Dalton: Always with a bevy of critics, Dalton was playing like an MVP before a thumb injury finished his regular season. Another value player who would have reached 30 TD's in 2015 if he had not gotten hurt. Hue Jackson no longer a concern in terms of limiting the offense. 15. Matthew Stafford: Another guy who is a major red flag for many, Stafford was actually very good in 2015 behind some terrible Detroit protection. Still you never feel good going into any game with Stafford as your QB. 16. Marcus Mariota: Loved what we saw out of Mariota as a rookie before going on IR as the kid was very poised and showed he could operate an NFL offense efficiently. Looks like another Russell Wilson but much cheaper. 17. Jameis Winston: Have to keep Mariota in the same ranking area code as Winston as both proved better than anticipated in 2015. Winston has some more ceiling to tap into and seems like a good bet for another jump in numbers in 2016. 18. Tony Romo: Major drop in the rankings for fading veteran Romo who missed almost all of 2015 with a twice-broken collarbone that seems like it will be a perpetual problem. Still can sling it but tough to depend on Romo with his ill health as your starter. 19. Matt Ryan: Amazing how bad Ryan was in 2015 after the guy proved himself to be arguably the best fantasy football QB value from 2011 through 2014. Maybe the loss of Dirk Kotter as the OC was the main reason. 20. Ryan Fitzpatrick: There is no denying that Fitzpatrick was phenomenal for the New York Jets in 2015 as he set all sorts of team records and also put up a personal best touchdown and yardage total. If Fitzpatrick returns to the Jets, we would go back to the well as a top QB 2 but expecting a full 2015 repeat is asking a ton given the career norms we have seen from the guy. 21. Brock Osweiler: Likely will be the Denver starter in 2016 and showed enough to warrant some QB appeal with his strong arm and decent collection of receiving talent. So with the fantasy football season now in the rearview mirror, 2016 fantasy baseball will now fully take front and center. 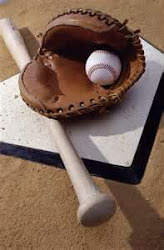 We already have started our features and projections for the new season and today will be no different as we attempt to formulate what a typical mixed league ROTO 12-team format's first round might look like. Here is how one peanut stand sees each of the first 12 picks going. 1. Mike Trout: The only sure thing in the always chaotic game of fantasy baseball is that Mike Trout is the slam dunk number 1 pick in the game. If we need to explain why, this is an indictment on your preparation already. 2. Bryce Harper: It all came together for Harper in 2016 as he went nuts to the tune of 42 home runs, 118 runs, 99 RBI, and a .330 average. Whether your like him or hate his attitude, Harper should be the number 2 guy off the board due to his always potent collection of numbers and the fact he still has some years of ceiling left to his name. 3. Paul Goldschmidt: The hulking Arizona slugger is the very rare five-tool fantasy baseball first baseman as he cracked 33 home runs, passes the 100 mark in runs and RBI, challenged for the batting title with a .321 average, and swiped 21 bases. Now laughable we even debated between him and Jose Abreu last season. 4. Giancarlo Stanton: The injuries remain a problem but there is not a better pure power hitter in the game today. A game where home runs are becoming more and more rare. 5. Andrew McCutchen: McCutchen fought through some injuries in 2015 but he still put up his standard five-tool production. Still McCutchen stole just 11 bases last season and that made it two years in a row he dropped sharply in that category. Also the home runs have come in at 21, 25, and 23 the last three years so McCutchen is a TOTAL statistics guy when it comes to being picked this high. 6. Jose Altuve: For the second year in a row, Altuve well worth using a first round pick on. While the average fell sharply from his 2014 mark of .341, Altuve still batted .315 and swiped 38 bags. Altuve also added a new trick in terms of reaching double-digits in home runs with 11. 7. Josh Donaldson: Donaldson will be the first of what should be up to FIVE third baseman who can see their names go in the first two rounds. Just an explosion of talent here led by the AL MVP who hit 41 home runs and drove in 123 batters in 2015. 8. Manny Machado: My goodness this kid busted out in a monstrous way last season, brushing off his past knee injuries to hit .286 and shock everyone with his power in smacking 35 home runs. As a bonus, Machado ran more than ever as he swiped 20 bases. It is all working at a very high level here. 9. Nolan Arenado: More Josh Donaldson than Manny Machado in terms of big power with his 42 home runs and little speed but the numbers were ridiculous either way. 10. Anthony Rizzo: Is Paul Goldschmidt-lite in terms of power with his 31 home runs last season and with the speed as he swiped 17 bags. The .278 average is not glowing by any means as Rizzo strikes out a bunch but everything else checks out as a first round talent. 11. Miguel Cabrera: Still a dominant pure hitter as evidenced by his .338 average but Cabrera has now hit 25 and 18 home runs the last two years as injuries are now becoming part of the equation. Cabrera is aging as he turns 33 in April and so we have to accept his MVP days are finished. 12. Clayton Kershaw: Tough call between Kershaw and Carlos Correa but I went with the best pitcher in the game and multiple Cy Young winner. We always advise not using a first round pick on a pitcher but if you must do so, this is your guy. So what do you think? Who should be included or taken out? Post below. With spring training getting set to begin in a little more than a month, two prominent players have seen their names attached to a new steroids scandal that also includes Peyton Manning of the Denver Broncos. An Al Jazeera special report indicates that Manning, along with Philadelphia Phillies slugging first baseman Ryan Howard and Washington Nationals first baseman Ryan Zimmerman all received HGH shipments from overseas. The full scale of the report is expected out sometime on Sunday which will delve further into the issue. Manning has already come out and called the report "garbage" but we have seen this song and dance for far too long to ever buy any denial. Meanwhile would it shock anyone if Howard and Zimmerman were steroid users? Both (especially in the case of Howard) have had big power hitting seasons and both most certainly have dealt with a ridiculous amount of injuries over the last few years which can be classic side effects from steroid use. Howard has almost zero value in 2016 fantasy baseball as his power has dropped off sharply into the low-20 range with a horrid average, while Zimmerman lost a huge amount of his value when he yielded third base eligibility. While Zimmerman is still productive to warrant a spot on most rosters, at first base his lack of top-end power is a negative. Seattle Seahawks wideout Doug Baldwin will give it a go Sunday despite being labeled as a game-time decision due to a strained hamstring. Baldwin got in almost a full practice on Friday and has been on a tremendous run as a TD producer over the last month which made him a major fantasy football difference-maker in that span. Analysis: Great news for all Baldwin owners who are still in the hunt for their league title. A solid but mostly bench-worthy fantasy football wideout coming into the season, the loss of Jimmy Graham to a season-ending injury has opened things up greatly for Baldwin in the receiving game. He is performing as a WR 1 over the last month and should have a chance to do more of the same this week. Confirming what he said all week, New Orleans Saints QB Drew Brees will start Sunday despite dealing with a completely torn plantar fascia in his foot. Brees tore the ligament in last week's win over the Detroit Lions but he played very well in that outing in throwing for over 300 yards and two scoring passes. Analysis: Get Brees in there as he has a tremendous matchup against the putrid Jacksonville Jaguars defense. It is a bit worrisome that Brees could go out at any moment with the foot injury but you owe it to yourself to ride with him in this gem of a matchup this week. Saturday night football brought forth a tantalizing game between the Washington Redskins and Philadelphia Eagles that had all the indications of a classic shootout. It also presented a tremendous buying opportunity when it came to Redskins QB Kirk Cousins who despite a monstrous second half of the season run, was still on more than a few waiver wires. It was an opportunity that yours truly took in picking up Cousins as a hedge for my injured and status murky QB Drew Brees. With Brees being nothing but a sure thing to start, I rolled the dice and went with Cousins Saturday night despite the fact he has generally not performed nearly as well on the road as at home. Well my move was rewarded in a major way as Cousins went out and went nuts to the tune of completing 31-of-46 passes for 365 yards and 4 touchdowns in the team's NFC East-clinching victory over the Eagles. The dominant outing brings Cousins' TD/INT ratio to a splendid 20-3 over his last nine games and sets him up for a huge payday as he stares at free agency. Also for those who went with Cousins Saturday night and are still in the hunt for your league title, things are looking up. -Going in conjunction with the big second half run for Kirk Cousins has been the crazy work of pass-catching tight end Jordan Reed. A week after catching two touchdown passes in Week 15, Reed went right out and did it again Saturday night as he caught two more scoring passes among his 9 receptions for 129 yards. The super-athletic Reed is a matchup nightmare for any defense and the only thing that ever held him back was a rampant spat of injuries. For the season now, Reed has caught 83 passes for 907 yards and 11 touchdowns which is clear TE-1 territory. In fact the argument can be made that Reed has been the best tight end in fantasy football this season, especially in the second half. -While it was an ugly night for the Eagles, tight end Zach Ertz can hold his head up high as he caught 13 passes for 122 yards. This marked the second straight season Ertz has gone crazy on the Redskins in Week 16 as he grabbed 17 balls last season at that point in the season against the same opponent. Overall Ertz' season has gotten better as the year has gone on but he is still not quite there yet as a top tier fantasy football tight end. It was a Christmas Eve signing that brought forth some 2016 fantasy baseball news and it came in the form of Daniel Murphy agreeing to a three-year deal with the Washington Nationals. 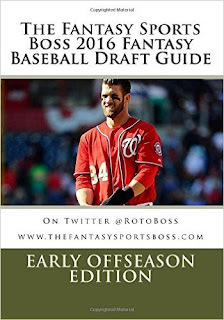 As always let's dissect Murphy a bit more in terms of fantasy baseball for this season and beyond. Solid but unspectacular were the numbers for Murphy but since second base remains pretty shallow in terms of the depth of talent, he snuck in the 10-12 range among the rankings and as a result held onto daily mixed league value in 12-team setups. In dissecting the numbers, the one thing that has to discussed right off the bat is the fact that Murphy's mid-career stolen base uptick already seems finished as he swiped just two bags a year ago. This fell well short of the 23 and 13 steals Murphy accumulated in the 2013 and 2014 seasons respectively. Again at the age of 31 in April, Murphy is not likely to be running much at all so that category needs to be removed from his outlook and overall projected value for 2016. As far as the other numbers are concerned, Murphy's greatest strength has been his batting average as he is a tremendous contact hitter who hardly ever strikes out. Last year was no different as Murphy struck out in a tiny 7.1 percent of his at-bats which is a phenomenal number. For his career, Murphy is a .288 hitter and he should be right around that number again this season. In addition, Murphy is very durable which means his counting statistics in runs and RBI will also be very solid as well, with both number being in the 60-80 range. Again a nice number but not great either. Finally, Murphy's home runs are up for a bit of debate after his ridiculous postseason power run with the Mets last October. By now we all know Murphy went deep in six straight postseason games which caught a ton of hype. However that was an extreme outlier performance as Murphy's career-high in home runs are the modest 14 he had last season. Staying in a prime pitcher's park with the Nats, Murphy will not likely go much above that number if at all. So 20 home runs is foolhardy to project based on the abilities of Murphy no matter what he did last fall. When you put it all together, Daniel Murphy remains in the 8-12 range among 2016 fantasy baseball second baseman. Again he is a good but not great option who will no doubt help you stay competitive. Ultimately though Murphy is not a difference-maker in fantasy baseball and he needs to be projected in that way as we jog toward the new season. We would like to take the opportunity to wish you all a Merry Christmas and a Happy Holiday. We will be out of operation tomorrow (Dec. 25) but will be right back at it on the 26th as we full turn toward 2016 fantasy baseball. We already have ramped up our 2016 coverage with player analyzers, busts, and sleepers, with more on the way soon. As always thanks for your support and we have some exciting things to announce after the holiday. Be well. After years and years of aggravation in terms of finding a viable shortstop in fantasy baseball due to the extreme dearth of talent there in terms of offensive numbers, we seem to be moving into an era where some young and very talented names are infusing the spot with some much-needed flash. Of course Carlos Correa tops the list as his ascension to a new first round option in less than a full MLB season is already secure, joined by Francisco Lindor who was very good in his own right in his 2015 debut. A third name that undoubtedly will be added to this group is top Los Angeles Dodgers shortstop prospect Corey Seager who looks primed to be a major sleeper for 2016 fantasy baseball. As always let's dissect the numbers and find out why we think this way. As far as Seager and his particulars are concerned, he turns only 22 in April and already has showed during the second half of 2015 and into the playoffs that he can handle the bat. The Dodgers brought Seager up last September where he immediately began spraying line drives all over the ballpark to the tune of a .318 average and 3 home runs in 88 at-bats. It is very obvious that Seager possesses an above-average bat that makes contact at a high rate which will lessen the growing pains that most young hitters go through. Even before his promotion, Seager was hitting Triple-A pitching with his 13 home runs and 64 RBI in 464 at-bats. While he is not a burner, Seager also has the speed to chip in some bonus steals to go with his burgeoning power and runs/RBI potential. As far as the batting average is concerned, Seager struck out in just 14 percent of his Triple-A at-bats last season and that numbers rose to a still solid 16.8 percent with the Dodgers which is very good for a young hitter. While asking for anything over .300 would be a bit too much this early, a .280 mark is not out of the question given the hitting approach. When you put things all together, Corey Seager very well could be this year's Francisco Lindor in terms of very effective five-tool numbers at a shallow position without blowing up any one category. Young shortstops who can hit are among the most precious commodities in fantasy baseball and Seager seems to be a guy who will be a top five option there in short order. It was a banner day for yours truly but I hope it didn't come a week early. It was no contest in the Fantasy Sports Boss 10-team PPR money league as I destroyed by opponent by a ridiculous score of 215-120. It was beyond insane how good my team did, which included the 16-catch/2-TD day from Antonio Brown, 2 scores from a hobbled Drew Brees, my gem of a mid-season pickup David Johnson going off for 187 rushing yards and 3 scores, and with both Jordan Reed and even Demaryuis Thomas scoring twice. It was a nice and relaxing week but of course my work is not done. What was an interesting development is that the number 1 seed who came in with an 11-2 record went down in the other semi by TWO points to a team that was a wild card and snuck into the playoffs with a 6-7 record as the fifth seed. This shows you that anyone can win in any given week and the latter team has now won two playoff games because he stuck with it. Meanwhile the 11-2 league-leader saw A.J. Green catch one pass, while he also lost to injury over the last month Jonathan Stewart, Mark Ingram, and Jimmy Graham. Clearly he couldn't overcome the injuries and it shows you as well that the most healthy team down the stretch can win it all. So now we turn to the finals this week and already I am worrying about the torn plantar fascia Brees has in his foot. Still he gutted it out last week and was excellent with his two scores. Brees will try and play through it and he has a gem of a matchup against the awful Jacksonville Jaguars defense. I have Kirk Cousins in reserve but I have decided to go all-in on Brees and the matchup as Cousins struggles on the road. In addition to the Brees issue, I am benching the clearly diminished Calvin Johnson who caught two passes total the last two weeks and will go with the red-hot Brandin Cooks to team with Brees. Cooks will join Brown and Thomas to round out my wideouts. At running back, Johnson is a lock in one spot but I have to decide whether to go with Peterson and his bum ankle this week when I have Matt Forte and Charcandrick West in reserve. Both Forte and West outscored Peterson last week and West has a tempting matchup versus the Cleveland Browns. Still I subscribe to the mantra of going with your best players and ultimately am prepared to go with Peterson. Here is how things look right now in my matchup, with his opponent not having Tyler Eifert at tight end due to concussion problems. So on paper I am favored to win by 20.00 but that means nothing. How do you think I will do? Would you do any changes? Let me know. With all of the top free agent ace pitchers totally off the board as we get ready to move into the late winter months, attention has now turned to the second-tier starters still available in terms of interest. One such name who was snatched up on Tuesday was veteran Mike Leake who signed a five-year deal with the St. Louis Cardinals as the John Lackey replacement. As we always do with fresh signings, let's take a look at how Leake's fantasy baseball value changes with his new location. Now 28 years old and in his prime, Mike Leake has served as a classic SP 4/5 type depending on if you are in an innings capped format. Now with six season in the rearview mirror, Leake has proven himself to be a solid pitcher who puts up decent ERA's and average K totals. In four of his six seasons, Leake has registered an ERA under 4.00 which include the last three years where he came in at 3.37, 3.70, and 3.70. The strengths of Leake lie in his solid control that always straddles around the .20 mark, while also showing a knack for keeping the ball in the park with a mark there under 1.00 in terms of HR/9. That helps Lake overcome some very mediocre K rates, with his career-high in strikeouts being 164; with that number actually being worth of the outlier bin since he has not topped 122 in any of his other five seasons. Thus it was imperative for Leake to stay in the National League where his lack of K stuff is not as big a hindrance. Even better, Leake signed on with the Cardinals which have one of the better pitching parks in baseball. That should keep Leake in the 3.50 ERA/1.18-WHIP territory with around 135 strikeouts. That is worth of SP 4 status in non-inning capped leagues, dropping to SP 5 territory in leagues that have a set number of frames. Ultimately when it comes to 2016 fantasy baseball, Mike Leake is a steady guy to round out your rotation who will never cost much at the draft table. Solid and steady almost always wins the race. The NFL slapped New York Giants wide receiver Odell Beckham Jr,. with a one-game suspension late Monday afternoon for the helmet-to-helmet hit he put on Carolina Panthers CB Josh Norman in Sunday's game. No word yet on whether Beckham will appeal the suspension or not. Analysis: As expected which is what was being reported this morning. Now let's see the circus that will be Beckham appealing the suspension so he can play in Week 16's game as the Giants hold onto slim playoff hopes. The Giants instead should suspend Beckham for his disgusting behavior but we all know winning trumps everything. Multiple media outlets are reporting Monday that New York Giants wideout Odell Beckham Jr. will be handed a one-game suspension for his helmet-to-helmet shot on Carolina Panthers CB Josh Nordman. ESPN's Adam Schefter was the first to report it, with other sources jumping aboard since. Analysis: This is huge for the fantasy football championship round as Beckham being suspended would eliminate arguably the biggest-play wideout in the game. However Beckham would likely appeal the suspension since the Giants cling to playoff hopes for at least another few days. Stay tuned. Here are our first look at the 2016 fantasy baseball second baseman rankings as the season is still months away. 1. Jose Altuve: Obvious choice here as Altuve made good on his first round value in 2015 and then some as he upped his home run total top go with excellence in the other four categories. 2. Dee Gordon: Gordon fully arrived as a superstar player in 2015, winning the batting tile and stealing bases with reckless abandon. A star in three categories in runs, steals, and batting average, Gordon is worth a second round pick. 3. Robinson Cano: Already wants out of Seattle after two disappointing years which one can understand. Was simply horrific the first half of last season before looking like the Cano of old in the second half when the games meant nothing. Clearly Cano's days of 20-plus home runs and 90-plus RBI are finished in Safeco Field. So are his days of being even a second round pick. 4. Brian Dozier: Dozier has become a terrific player who is a 20/20 gem at the shallow second base spot. Boy that average is ugly though. 5. Ian Kinsler: Continues to churn out very good seasons when we all want to write him off. Still Kinsler barely steals double-digit bags now and the home runs are really lagging as well. On the plus side, Kinsler is doing his best batting average work of his career lately and remains a big runs source. 6. Jason Kipnis: Tough to predict what will go on here as Kipnis has been all over the map the last few seasons. Won't hit .300 again this season as he got a bunch of BABIP luck there in 2015 and still strikes out way too much. Also needs to fall back in love with stealing bases again. 7. Starlin Castro: All of a sudden Castro is very interesting again as he moves to Yankee Stadium and their power ballpark. While Castro has underwhelmed over the last few years, he still has put up decent numbers during that span. Those numbers should just go up from there. 8. Rougned Odor: Love the potential here as Odor looks like a future star who can go 20/20 real soon in an offensive park. Reach a round or two early. 9. Kolten Wong: Stalled a bit last season after Wong looked like he was headed for stardom. Average continues to lag but the power/speed game is solid. 10. Daniel Murphy: Have to see where Murphy ends up in free agency before we draw final conclusion but don't buy fully the power spike we saw the second half of 2015 and into the postseason. Murphy has simply never been that player. In addition, Murphy's brief spell as a stolen base guy already looks over. On the plus side, extreme versatility a big plus and a .300 average works nicely. 11. Brandon Phillips: Shocked us all by posting a very good comeback campaign in 2015 when we all figured he was done. Could be a last gasp hurrah though given the advanced age. Don't buy for a second his 2015 numbers. 12. Dustin Pedroia: Told you he would bomb. Had Pedroia as a major bust entering into 2015 and he obliged. Another second baseman who eroded early given the physical demands of the position. 13. Howie Kendrick: Always like Kendrick as he is a very good hitter who always seems to turn a profit given his utter lack of fantasy baseball appreciation. Terrific value. 14. Joe Panik: Reminds me of Kendrick in that Panik does a little of everything and can hit .300 in his sleep. 15. Jung-Ho Kang: Did an overall nice job in his rookie debut coming over from Korea. Power looks above-average in the States and Kang hit for a much better average than expected. Starting to buy in. 16. D.J. LeMathieu: The benefits of hitting in Colorado put LeMathieu on the fantasy baseball map in 2015, helping in average, runs, and steals. Rinse and repeat those numbers. 17. Devon Travis: Major shoulder trouble severely stunting what was looking like a bright immediate future for the smooth-swinging Travis. Monitor the health in the spring but right now Travis looks like he won't be a factor for awhile. 18. Neil Walker: Old reliable as Walker does a nice job year after year with little fanfare. His move to the New York Mets keeps him in the same statistical pool. 19. Ben Zobrist: Better real life player than fantasy baseball one as Zobrist has lost his speed and his power is slipping sharply as well. Not much left to go on. 20. Javier Baez: Major strikeout and contact issues cloud the present for Baez who still has some immense power/speed potential. Not ready to say he is Quad-A guy yet. 21. Logan Forsythe: Surprised many with a very solid 2015 campaign that included some interesting power/speed ability. Won't overreact to that though as I need to see Forsythe do it again. 22. Jonathan Schoop: Can hit some home runs at a power-starved position but you can do better. 23. Cesar Hernandez: Good speed and contact ability makes Hernandez a solid late round sleeper. 24. Danny Espinosa: Veteran whose major contact struggles overshadow what at one time was interesting power/speed ability. 25. Jace Peterson: Can run a bit but Peterson is better left as a bench backup guy. 26. Jimmy Paredes: Started very well last season but quickly faded back to irrelevancy. Let us hear your thoughts. Post below. You would never think on paper that brand new Chicago Cubs free agent signee Ben Zobrist would ever find himself as the subject of a 2016 fantasy baseball bust post after the veteran infielder was quite possibly the most sought after player on open market this winter. If so many teams were bending over backwards in trying to get Zobrist to sign on the dotted line, he must remain one of the better players in the game and well worth an early fantasy baseball draft selection. Well in actuality, Zobrist serves as the classic example of a better real-life player than a fantasy baseball. With a reputation for being a clutch hitter, a tremendous clubhouse guy, and having the ability to play all over the field, Zobrist no doubt offers a lot to his major league employer. However in fantasy baseball where it is all about the numbers, Zobrist comes up short no matter if you stick him at second base, third base, or the outfield. With that said, let's discuss why Zobrist is in fact a bust candidate for next season. Of course it wasn't always this way in terms of Zobrist being labeled by this publication as a draft bust. Earlier in his career, Zobrist was very valuable in our make believe game and not only due to his extreme versatility that at times also included shortstop. From 2009 through the 2012 seasons, Zobrist proved himself as a very good power/speed asset who hit as many as 27 home runs in a year (2009) and also took as many as 24 bases (2010). A 20/19 campaign in 2011 further cemented Zobrist as a very good power/speed player at some very shallow fantasy baseball positions, while he also cemented his status as an intangibles guy as well. As always in these situations, age eventually plays a role in determining numbers and turning 35 in May, Zobrist is surely on the back nine of his career. We started seeing the effects of age on Zobrist staring in the 2013 season when he hit only 12 home runs and stole just 11 bases while hitting .275. Not a bust campaign by any means but sliding numbers nonetheless. It was even slightly worse in 2014 as Zobrist went only 10/10 in the home run/steals categories, while batting just. 272. Finally, Zobrist inched the power back up a bit in 2015 with 13 home runs but his speed looked like it was gone for good as he swiped just 3 bases. Again at the age of 34 going on 35 we can safely assume the stolen bases are no longer a bankable asset when it comes to Zobrist's fantasy baseball game. The power also is ebbing clearly as Zobrist can't be counted on for much more than the 13 he hit last season, although a run at 15 is possible given his new home run-leaning ballpark with the Cubs. As far as the rest of the numbers are concerned, Zobrist could be batting in the number 2 spot this season which means 80-plus runs and 60-plus RBI. Reverse those numbers if he bats fifth. Rounding out things, Zobrist is just a career .265 hitter who will be near or a bit above that number this season. Thus when you evaluate Ben Zobrist for 2016 fantasy baseball, be sure not to live in his stolen base past and also don't get caught up in the offseason hype. The guy is a fine major league player but a bunch less in terms of fantasy baseball impact. His most value will lie at the second base spot given the dearth of talent there but even there he is arguably not even in the top-12 conversation this season. Better yet, purchase the Draft Guide straight from our website on the homepage (on the right side using the BUY NOW tab) and receiver the Post-Free Agency edition FREE via e-mail form which is due out in January. With that said, here is an excerpt of the catcher rankings and write-ups. Draft Strategy: Outside of maybe shortstop, there is not a position in all of fantasy baseball that causes more angst and frustration than catchers do. With the position already thinned out in recent years with former top tier bats like Joe Mauer, Mike Napoli, and Victor Martinez losing eligibility there, this already thin group was made even more barren with Carlos Santana and Evan Gattis leaving the position as well for 2016. Buster Posey is obviously the diamond in the rough here whose combination of high batting average and solid power perennially makes him a popular target in the early rounds of the draft but from that point on chaos reigns. With that said, we continue to espouse on our firm strategy of drafting catchers in the mid-to-late rounds, in particular looking for players that fit two different criteria. The first centers on veteran catchers who are coming off a down season that will result in a much more affordable draft price the following spring. Players who fall into this category for 2016 include Jonathan Lucroy, Yan Gomes, Devin Mesoraco, and Matt Wieters. The other grouping is to target young catchers who are on the verge of being promoted to the big leagues and who carry some decent sleeper value. Those who came through under this scenario with varying degrees of impact in 2015 included Kyle Schwarber, Stephen Vogt, Francisco Cervelli, J.T. Realmuto, Wellington Castillo, Derek Norris, Travis D’Arnaud (when he was on the field), and Yasmani Grandal. In fact we pushed both Vogt and Grandal heavily in last year’s draft guide under this premise which worked out well for those who followed the advice. In two-catcher formats you obviously have to move a bit sooner to get your first backstop but again we prefer passing on the big names early on as you instead fill out the rest of the roster with more stable players at other positions. In single-catcher leagues, wait until the middle-to-late round where you can find some significant value if you know where to look. 1. Buster Posey: Simply the best among all catchers once again, Buster Posey will remain a debate talking point in regards to whether or not it is smart to use a very early round pick on a catcher. On numbers alone, Posey makes the grade as he is the rare catcher who can hit for both average and power, coming in at 19/.318 in 2015. Now having logged four straight full seasons since his devastating broken leg in 2011, Posey’s durability makes investing in him a bit less risky than it once was. In terms of the numbers, Posey is one of the best pure hitters in the game, having now logged 4 of his six major league seasons with an average north of .300. While his career-high in home runs is a modest 24, this is like 34 at the catcher spot. Still early in his prime at the age of 29, Posey incredibly stuck out in just 8.8 percent of his at-bats in 2015, while walking at a 9 percent clip, making a .300 average a lock when looking ahead to this season. While we still prefer looking for value in the middle rounds when it comes to addressing this position, Posey is so far ahead of the next catcher in fantasy baseball that he does qualify to be chosen so high. 2. Kyle Schwarber: Meet the new “must have” fantasy baseball bat, as Chicago Cubs backstop/outfielder Kyle Schwarber became the latest prospect gem to become an instant impact player for the team in 2015. Evoking some memories of Mike Piazza, Schwarber showed instant massive power, while hitting over .300 his first two months in the majors in June and July. Schwarber’s high strikeout rate was exploited from that point on though, as his 28.2 percent K rate caused his average to sink to a shaky .246 by the end of the season. We can chalk a lot of that up to Schwarber being a rookie but he did hit well over .300 in his final minor league season in 2014 which points to an expected improvement there as he continues to develop. The power is already here though (16 home runs in just 273 at-bats with the Cubs) and Schwarber seems like a lock to be a future 25-30 home run threat as soon as this season. Also carrying outfield eligibility, Schwarber is the new catching-eligible toy we all want to have. The price will be steep though given the lack of top-end options at catcher and the excitement Schwarber generated during his debut. However the upside is tremendous and the name Jim Thome has been mentioned as a power comparison. Finally some help. After annually serving as one of the most frustrating and shallow positions in fantasy baseball, the shortstop spot has been infused with a truly massive addition of young talent. Right at the top we find Carlos Correa who despite not even having played a full major league season, is well worth a late first round pick given his immense talent. Also in some leagues, Manny Machado qualifies at shortstop after playing a batch of games there last season and he too is a first round gem. 1. Carlos Correa: If Manny Machado qualifies at short in your league, it is a toss-up between him and Correa. As far as Correa is concerned, he is only scratching the surface of his talent and that is saying something since he already is a five-tool monster. Wow what a talent. 2. Manny Machado: Those who use five games as a benchmark will get the gift of Machado at shortstop where his extreme power/speed game make him a first round lock. In fact even if he was just a third baseman, Machado has truly arrived as the dominant overall player we expected before the knee injuries. 3. Troy Tulowitzki: We have had Tulo as a staple of our bust teams for years and now finally in 2015 the numbers began to ebb despite playing in the two best home run parks in the majors. The home run rate dropped noticeably last season and we know Tulo is an injury waiting to happen. Avoid the temptation. 4. Francisco Lindor: This kid turned out so much better right out of the gate in 2015 than anyone could have anticipated. The average, runs, and steals were the bankable numbers but Lindor also threw in the bonus of power which was not expected. 5. Corey Seager: Yet another shortstop-eligible future star, Seager came up late in 2015 and immediately began hitting line drives all over the diamond. The power is expected to be in the 20-25 range soon enough as well so get on board this potential 2017 early round star. 6. Starlin Castro: Retains shortstop eligibility for another season and now gets to operate in the home run haven that is Yankee Stadium. So many have been burned by Castro the last few years that his draft price could still be attractive. We are back on the comeback bandwagon. 7. Jose Reyes: Had some ugly off-the-field issues to deal with that could lead to a suspension and Reyes also saw his numbers drop yet again as he sails into his mid-30's. Avoid like the plague. 8. Addison Russell: Now the full-time shortstop for the Chicago Cubs and a move up the lineup this season figures to start showing the offensive numbers that are lying under the surface. Struggled at times in 2015 but that is what hitting ninth will do to anyone. Average may not be on par with the guys listed above but Russell will get his numbers. 9. Ian Desmond: Still has not signed with anyone and is coming off a horrific 2015 where the power and speed dropped sharply. Not a fan of the extreme K rate and the speed may never come back to the 20 range as he moves toward 30. 11. Marcus Semien: Started off strong a year ago before strikeouts undid Semien's second half. Still has the ability to go 15/15 so well worth a late round grab. 11. Elvis Andrus: Been telling you for years how overrated Andrus is and he continues to oblige in making us look smart. Not worth the time and effort. 14. Brandon Crawford: Terrific power here but no speed from your middle infielder is never something you really want. 15. Asdrubal Cabrera: Signing with the Mets doesn't change the outlook on the veteran's numbers. Best served as a backup. 16. Alexei Ramirez: Doing the expected fade as Ramirez is now firmly in his mid-30's. It was fun. 20. Didi Gregorious: Really started to put up some numbers the second half of last season as he settled in with the New York Yankees. Could be a .280 guy with 10 home runs and 15-20 steals. 22. Eugenio Suarez: Be sure not to by into the power and overall production from Suarez last season as his minor league numbers never showed that type of player. Could go bust. 24. J.J. Hardy: Looks like he is completely finished as a usable player. CBS' Jon Heyman is reporting that the Oakland A's are close to a free agent agreement with starting pitcher Henderson Alvarez. Alvarez was let go by the Miami Marlins earlier this winter as he continues to recover from shoulder surgery that ruined his 2015 campaign. Analysis: Interesting move by the A's as Alvarez clearly has ability with is career 3.80 ERA and 1.29 WHIP. However this is a guy who is below average in terms of K rate and who has dealt with a bunch of injuries already in his career. Can work as an SP 5 in all fantasy baseball formats and not much more at this stage. Draft rankings and analysis, sleepers, busts, Tommy John risks, Ten Burning Questions, Rookie Report, and more. 2016 FANTASY BASEBALL ISSUESl: WHAT TO MAKE OF HYUN-SOO KIM? The winter is always the hottest time of the year for International signings in Major League Baseball and that continued on Wednesday when the Baltimore Orioles came to an agreement on a two-year deal worth $7 million for Korean first baseman Hyun-Soo Kim. Kim follows in the footsteps of Jung-Ho Kang who prior to last season signed on with the Pittsburgh Pirates where he posted a very solid rookie campaign. Like with Kim and the Orioles, Kang was a curiosity who put up some monster offensive numbers in the average, RBI, and home run categories in Korean but who also was looked at with a wary eye due to questions about the quality of competition there. After an adjustment period at the start of 2015 however, Kang was very solid as a rookie as he batted .287 with 15 home runs and 58 RBI in only 421 at-bats. Kang's success no doubt allowed the Orioles to feel a bit better about their investment in Kim who looks like a buy-low signing as a possible Chris Davis replacement at first. Now in terms of Kim's numbers, he too put up video-game statistics last season in Korea as he batted .326 with 28 home runs and 121 RBI. Again we do have to downgrade the numbers some due to quality of competition but Kim clearly has some power to offer and he signed into a prime home run park in Baltimore which helps. Strikeouts will likely cause the average to drop into the .260 range but 15 home runs and 60 RBI seem like the basement in terms of expected production this season with a good chance for some more. Ultimately Kim looks like a late round upside play who could pay off if he adjusts quickly. We have yet to get into our 2016 fantasy baseball DRAFT BUSTS as we are still very early in the process in projecting the new season. However some cases are more obvious than others and that leads to today's subject in the form of Cincinnati Reds veteran second baseman Brandon Phillips. A guy who has been on a statistical decline for a few seasons prior to 2015 (including an almost complete loss of stolen bases), Phillips shocked almost all of us when he posted a vintage season by his standards a year ago. At the age of 34, Phillips hit .294 with 12 home runs and 23 stolen bases. The steals were downright unbelievable as Phillips swiped a total of 7 from 2013 through the 2014 season. In addition, the .294 Phillips hit was his best mark since he hit .300 in 2011. All at an age when especially second baseman tend to decline sharply which was a schedule Phillips was on prior to his 2015 revival. So as we enter into 2016, let's discuss why we have Phillips down as a solid BUST candidate best avoided. We already talked about how Phillips' 23 stolen bases seem like a vast outlier. Consider that he had not reached the 20 mark in steals since way back in 2009 to fully grasp how out of the blue that number was. In addition, the .294 Phillips hit was also an outlier number as he received from BABIP luck with a .315 mark in that category. While Phillips is not going to fall off the map with his average, he is so much more .280 than anything near .294. Combine that with the expected drop back in steals and Phillips is already going to depress in two fantasy baseball categories. Another area of concern is the home runs as Phillips hit just 12 last season despite operating in a major power park. That numbers jives with the 8 Phillips hit in 2014 as he put back-to-back poor power seasons together. Done are the days Phillips would approach 20 and even 15 is shaky at this stage of the game. Again combining that with the drops in average and steals and you start seeing the shaky picture. When you put all of this together, Brandon Phillips is nothing but a declining fantasy baseball stock worth avoiding. Sure he yielded very good value in 2015 but you don't pay for last season's statistics. In addition, you never want to invest in guys 34 or older due to the inevitable declines and Phillips is right there in this age group. It could get ugly this season to say the least. The New York Mets brought back veteran SP Bartolo Colon on a one-year deal worth $7.25 million. Colon is expected to fill the fifth spot in the team's rotation as Zach Wheeler continues his rehab from Tommy John surgery. Analysis: Good move for both sides as Colon was an instant favorite among the Met fans and he did a very nice job at the age of 42 last season. Colon has only SP 5 value in deep mixed formats and a bit more in NL-only when he starts due to the lack of K's and home run tendencies however. FANTASY FOOTBALL BREAKING NEWS: JULIAN EDELMAN (FOOT) PRACTICES FULLY WED.
New England Patriots wideout Julian Edelman practiced fully on Wednesday and according to various reports, looked "crisp" and "quick" during the session. Head coach Bill Belichick reportedly wants Edelman to get a full week of practice in before he returns and at this point that seems very plausible. Analysis: Just tremendous news for anyone who owns Edelman as he could put any team over the top, especially in PPR formats. It looks more and more likely Edelman will be able to go in Week 15 and that is something no one saw when he first broke his foot. Carolina Panthers running back Jonathan Stewart will miss Week 15 with the sprained foot he suffered in last week's game. Stewart has not practiced this week and the Panthers are reportedly going to play it safe with all their top level players as the playoffs draw near. A committee of Fozzie Whitaker and Mike Tolbert is on tap for the New York Giants. Analysis: This is a big loss for any Stewart fantasy football owners as the guy has quietly had a very good season, with most of his damage being done in the running game. Of course injuries are always part of the equation with Stewart as we see again. Neither Whitaker nor Tolbert is worth using in fantasy football Week 15. The Cincinnati Reds added All-Star third baseman Todd Frazier to their ever growing list of players who have been traded this winter as the team continues to tear everything down in order to start a rebuilding process. Frazier was sent to the Chicago White Sox on Wednesday in a three-team deal that also involved the always active Los Angeles Dodgers. In order to get Frazier, the White Sox sent top power pitching prospect Frankie Montas, along with outfielder Trayce Thompson and infielder Micah Johnson to the Dodgers, while the Reds get infield prospect Jose Peraza and Brandon Dixon from the Dodgers. As always lets dig into the deal and find out what if any impacts it has on 2016 fantasy baseball. Todd Frzaier: Clearly Frazier was the big fish in the deal as the veteran is a top tier fantasy baseball third baseman who has been incredibly productive the last two years in particular. Last season Frazier smacked a career-high 35 home runs, drove in 89 batters, and swiped 13 bases in a tremendous campaign with the Reds. That validated the 29-HR-22-SB breakout Frazier had posted in 2014 and solidified his standing as a top two round fantasy baseball draft pick for the foreseeable future. As far as the move to the White Sox is concerned, other than learning some new pitchers in the AL, Frazier should remain a top slugger as he remains in a prime power park in Chicago. Outside of his .260-ish average (due to a high K rate), Frazier is a gem in the other four standard ROTO categories and is right there in the debate with Nolan Arenado and Manny Machado in terms of who should be the second third baseman off the board in 2016 drafts. Frankie Montas: Montas is the biggest prospect in the deal as the Dodgers will likely utilize him toward the back end of their bullpen after pulling out of the Aroldis Chapman trade. Montas has a power arm that collects a bunch of strikeouts, which he did when he put up a 12.00 K/9 during his 15 inning stint with the White Sox in 2015. Prior to that cup of coffee run, Montas had a 2.97 ERA in 112.0 innings at Double-A for the White Sox, while again posting a good K rate at 8.68. As most young power pitchers do however, Montas has issues with control. On the surface it is likely the Dodgers start him in the bullpen and maybe transition him to a starter later on in the year or in 2017. Either way Montas should be monitored early in spring training in order to see what his status will be. According to CBS' Jon Heyman, the Chicago White Sox have landed third baseman Todd Frazier from the Cincinnati Reds. The LA Dodgers also are involved in the deal which has various additional pieces. Analysis: WOW. The Reds finally found a spot for Frazier as their dismantling is almost complete. His fantasy baseball values remains pretty much the same as Frazier remains in a big power park. He should be tabbed as early as the second round in drafts. It was a nice respite for yours truly last week as my finish as the number 2 seed overall as the Experts League PPR playoffs got underway. We have ten teams in the league and six make the postseason. It is back to work this week however as I go into my semifinal matchup as a sizable favorite. Right now the only decision I have to make is whether to start Julian Edelman if he returns over the struggling Calvin Johnson. Of course Johnson has a plush matchup against the truly horrific New Orleans Saints defense but Edelman is PPR gold whenever he plays. Right now this is how the matchup looks. Looking at my opponent, he launched his team when he got Freeman off waivers but he also had has big QB issues all season as he originally banked on Sam Bradford. In between he alternated between Jameis Winston and Mariota who did enough as a tandem to get to the playoffs. However a key here is that he picked up the scorching Blake Bortles off waivers which cold be trouble for me and ultimately I think he will correctly go with him over Mariota. His receivers are shaky outside of Marshall who has been tremendous. The running backs are solid but Freeman has really dropped off as the Atlanta Falcons have tanked. Ultimately I SHOULD win on paper and by a decent margin but again I never feel safe in ANY fantasy football matchup. How do you think I will do? Post below. Already this winter we have seen a slew of changes among the various closer spots across Major League Baseball. With trades and free agents signings doing their chaotic thing, let's discuss some of the new faces as we continue to gear up for 2016 fantasy baseball. 1. Steve Cishek to Close For Seattle: This is a bit of a surprise as it was assumed veteran Joaquin Benoit would get the gig since he continued to pitch at a dominant level in 2015. However Mariners GM Jerry DiPoto publicly endorsed new signee Cishek as the team's closer in a conference call Monday. Cishek of course lost his closer role amid drastically reduced velocity in 2015 for the Miami Marlins and was so bad he was sent to the minors. In his defense, Cishek came back up and pitched well which included his stint with the St. Louis Cardinals after he went there via a trade. It looks like Cishek's experience won out here despite the fact Benoit has closer stuff. Once again Benoit gets shafted like he was last spring when a near Opening Day trade for Craig Kimbrel cost him the closer spot with the San Diego Padres. Cishek is still quite scary though considering how bad he was in the ninth inning a year ago so have him as one of the lower-ranked stoppers in your cheat sheet. 2. Ken Giles Moves To Houston: The Philadelphia Phillies have no use for a closer since they are expected to be one of the worst teams in baseball in 2016 and hence the deal to Houston for fireballing Ken Giles. We all assumed Giles would close for the Astros but not so fast as management still won't commit to that since Luke Gregerson was solid there in 2015. Still Giles has mass upside and is the better pitcher so he should end up with the gig. On stuff alone, Giles is a top 5-7 closer. Meanwhile in Philly, there should be an open competition at closer with no clear name emerging yet. If we had to guess based on who is left, we would side with Hector Neris who average a K per inning last year and pitched to a 3.71 ERA. 3. Craig Kimbrel to Boston: The Boston Red Sox wanted to get right back into the thick of the AL East race and they helped that cause by completing a deal with the Padres for Craig Kimbrel. Kimbrel of course has been the consensus number 1 closer in fantasy baseball the last four years and he should dominate yet again with his crazy K rate. Truth be told Kimbrel's hit rate was its highest ever in 2015 but he was back to being unhittable the second half of the season. He should once again be the top closer off the board in 2016. The flip side is that right now Kevin Quackenbush should be the favorite for saves in San Diego. While he struggles with control, Quackenbush strikes out guys at a very high rate which is perfect for the gig. Decent upside value play. 4. Milwaukee Deals Francisco Rodriguez to Detroit: The Tigers hope they finally solved their ongoing late inning relief issues after they completed a deal for closer Francisco Rodriguez. Rodriguez has been terrific over the last two years in reinventing himself on the fly after losing velocity. Whatever he did is working and he should be in the 8-12 range when ranking 2016 closers. On the flip side, look for high-K Will Smith to get a long-overdue chance to close. Smith has put up some big strikeout totals over the years and he looks like a very intriguing sleeper. Of course things are likely only going to get more nutty as the season approaches so be sure you keep checking back here all throughout 2016 in order to stay on top of things. The first week of the fantasy football playoffs brought some more big injuries worth discussing, with the most significant being the busted thumb of Cincinnati Bengals QB Andy Dalton. Let's get to all the latest. -Obviously the biggest injury of the week was the season-ending broken thumb suffered by Dalton early in the team's loss to the Pittsburgh Steelers. You really got to feel for Dalton after all the criticism he has endured from his 0-4 playoff mark. Dalton was having a career year in passing the football as good as he ever has and in leading the Bengals into a very prominent spot in the playoff picture. Now Dalton will no longer get a chance to end that streak and instead is lost for the remainder of the season. No doubt any Dalton owner involved in the playoffs likely are turning toward 2016 fantasy baseball this morning but his loss is also a big blow to the receivers on the Bengals. While A.J. Green had a big game in going for over 100 yards receiving and a TD with A.J. McCarron under center, his immediate outlook no doubt is a bit murky. McCarron made some horrible throws in getting picked twice Sunday but he did find Green over the middle as well. Still Green's TD potential takes a big hit here, while those in PPR may not able to skate by as McCarron will be looking at him often. Meanwhile, tight end Tyler Eifert left the game early with a possible concussion, just a week after returning from a neck injury. Still no word on whether or not Eifert suffered a concussion but it has been a rough finish to his season. Stay tuned on this one. -The other big injury was the season-ending busted ankle of Seattle Seahawks RB Thomas Rawls. A big loss no doubt as Rawls was running wild since becoming the starter in place of the also injured Marshawn Lynch. Lynch is still week-to-week according to Pete Carroll and he has a shot to return maybe for Week 16 so I would absolutely pick him up if someone dropped him. Meanwhile veteran Fred Jackson figures to be the main runner for the Seahawks for Week 15 and on that front he deserves to be picked up as a possible RB 2 in PPR formats. Another result from all this is the massive production from QB Russell Wilson and WR Doug Baldwin over the last four games as the Seahawks move to more of a passing game. -St. Louis Rams RB Todd Gurley suffered a knee injury late in the team's win over the Detroit Lions after a huge game running the football but all signs point to it not being anything major. Good news for Week 15 as Gurley looks back on track after a few quiet weeks. -Houston Texans QB Brian Hoyer might have suffered a concussion of his own Sunday night as he entered into the protocol. Either way you likely don't own Hoyer and are still involved in your league's playoffs. -It was a shock to see New England Patriots wideout Julian Edelman practice on Friday and it looks like he has a real chance to play in Week 15. That is a tremendous development for all Edelman owners and some even were able to get him off the wire since a few original owners dropped him foolishly. -Pats RB LeGarrette Blount suffered a hip injury in the team's win Sunday night over the Houston Texans and his status will be evaluated again on Monday. A committee of Branden Bolden and James White handled the work in his place and would likely do the same in Week 15 if Blount has to sit. Jordan Reed: Washington Redskins tight end Jordan Reed is a terrific pass catching talent who only has to stay healthy to be a top five guy annually at the position. He went off on Sunday by catching 9 balls for 120 yards and a TD in the team's win over the Chicago Bears. Reed is now up to 7 receiving touchdowns on the season for the Redskins and other than Tyler Eifert, Greg Olsen, and Rob Gronkowski, arguably has been the best fantasy football tight end in the game. DeAngelo Williams: Veteran back DeAngelo Williams continues to enjoy a comeback season in 2015 by playing well into December as he rushed for 76 yards on 23 carries and 2 touchdowns while also catching 2 balls for 15 more yards. Williams has been everything the Pittsburgh Steelers could have asked for in place of the injured Le'Veon Bell and he continues to be well worth using as a RB 2 the last two weeks of the fantasy football season. Blake Bortles: What a sophomore season being engineered from Jacksonville Jaguars QB Blake Bortles as he completed 16-of-30 passes for 250 yards and 3 touchdowns Sunday, just a week after he tossed for five scores. For the season now, Bortles has tossed 30 big touchdowns as he has taken the next step in his development to be a top ten fantasy football passer. The Jags and Bortles seem primed to be very good for awhile too given the youth on the whole entire offense. Doug Baldwin: Yet again Seattle Seahawks wideout Doug Baldwin was big on Sunday as he caught 6 passes for 82 yards and 3 touchdowns in the team's win over the Baltimore Ravens. Baldwin has been the biggest beneficiary in the recent Russell Wilson binge, having gone for an insane 8 receiving scores during the last three weeks. He is clearly taken another step in his own development and is right now performing almost like a WR 1. Golden Tate: For the second season in a row, it has been Golden Tate and NOT Calvin Johnson who has been the most effective wideout for the Detroit Lions. With Johnson looking like he has lost a step and who was invisible Sunday, Tate caught 9 balls for 60 yards and two touchdowns in the team's loss to the St. Louis Rams. Tate has done his slot thing at a very good WR 2/3 level this season and he should be used as such going forward. Marques Colston: It was a turn back the clock day for New Orleans Saints wideout Marques Colston who caught 6 passes for 36 yards and 2 touchdowns in the team's win over the Tampa Bay Buccaneers. Nice game for sure but Colston looked like toast for most of this season and can't be depended on even as a WR 3 in a crucial playoff game. Todd Gurley: After a very quiet last month leading up to Sunday's game amid talk that maybe Todd Gurley was hitting the rookie wall or if he was hurt, the St. Louis Rams rookie rushed for 140 yards and 2 touchdowns on 16 carries, while also catching 2 passes for 7 more yards. Gurley did hurt his knee late in the game but all signs suggest it was a minor deal and he should be able to go for Week 15. No doubt the awful state of the Rams passing attack have made life difficult for Gurley lately but this is a good sign that he can be fully used again next week. Russell Wilson: No one has been a more dominant fantasy football QB over the last month than the Seattle Seahawks' Russell Wilson who went nuts again on Sunday by completing 23-of-32 passes for 292 yards and 5 touchdowns in the team's win over the Baltimore Ravens. Wilson has been simply insane during that stretch, throwing for 16 touchdowns and no picks in the last four games. With the Seahawks having lost both Marshawn Lynch and Thomas Rawls out for the season with injury, Wilson is being asked to throw like never before and he is responding. From a past critic of Wilson, even we will say the guy has been crazy good. A.J. Green: Despite losing Andy Dalton to a broken thumb, A.J. Green didn't miss a beat with A.J. McCarron as he caught 6 passes for 132 yards and 1 TD. Green went over 100 receiving yards in a game for the fifth time this season but he could be looking at a rough time the last two weeks with the green McCarron under center. Something to watch for sure as Green's optimal value is with Dalton under center. We have seen with top guys like Antonio Brown and Demaryuis Thomas this season how numbers can crater when a starting QB goes out. Brock Osweiler: While he was trusted to throw the football all game long, Denver Broncos QB Brock Osweiler did not look good Sunday as he held onto the football way too long in taking constant hits and sacks, while also struggling with his passing. Osweiler completed 35-of-51 passes for 398 yards but did not toss a single TD pass. Once again Emmanuel Sanders and Demaryuis Thomas are being adversely affected by what is going on under center for Denver this season.